The work described has not been published previously except in the form of an abstract or as part of a published lecture or academic thesis. That it is not under consideration for publication elsewhere. That its submission and publication in the journal is known and approved by all Authors. The work is the Author’s own and there is no falsification, fabrication of data or plagiarism including duplicate publication of the Author’s own work without proper citation. Upon acceptance of an article, Authors will be asked to transfer copyright. This transfer will ensure the widest possible dissemination of information. A notification will be sent to the corresponding Author confirming receipt of the manuscript. If excerpts from other copyrighted works are included, the Author(s) must obtain written permission from the copyright owners and credit the source(s) in the article. 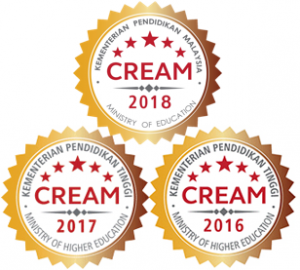 Penerbit Universiti Sains Malaysia publishes fully open access journals. All articles are freely available to read, share and download. In accordance to publication ethics and best practices of scholarly publishing, authors and journals must be properly credited. 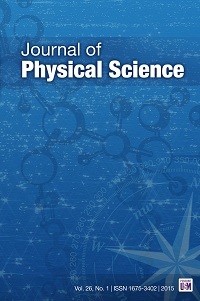 Journal of Physical Science published by Penerbit Universiti Sains Malaysia is an open access journal. All articles are published under the terms of the Creative Commons Attribution License (CC-BY). This licence permits unrestricted use, distribution, and reproduction provided that the authors, citation details and publisher are clearly identified. For any reuse or distribution, users must include the copyright notice and make clear that the article is made available under a Creative Commons Attribution license. Please inform the Publisher when the article is reused or distributed. There is no submission charge or article processing charge (APC). The journal accepts manuscripts written in English. Each manuscript undergoes a single-blind peer review process starting with initial review by the Editorial Board members. If found to be of a suitable quality and meets the aims and scope of the journal, it will then be sent to at usually two reviewers. The reviewing process takes up to 4 months from the date of receipt of the article. Where manuscript revision is required, authors are urged to ensure that the necessary corrections are made before the manuscript can be accepted for production.